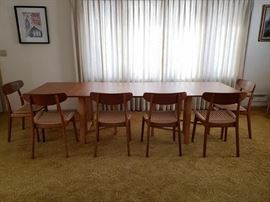 Estate Sale of the (mid) Century! 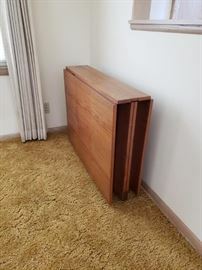 • Please do not contact me with offers. Everything is being sold in-person on the sale dates. No exceptions. • Numbers will be given out starting at 7am Saturday 3/2 only. Pre-numbers are honored if present at 7:00 and are exchanged for our numbers. • Cash and Credit Cards accepted (Paypal here chip reader) 2.7% fee for credit purchases, NO CHECKS. • Bring help and/or a proper hand cart to load large items. Blankets are a good idea for moving furniture. We will not help move heavy objects. • All sales final, no returns or refunds given - no exceptions. • Sunday - Bargain day - come prepared to haggle. NOTE: Everything sold "As-is." Check your merchandise before purchasing. We've made every effort to authenticate all items in the sale, however we're not responsible for any errors that might be made. 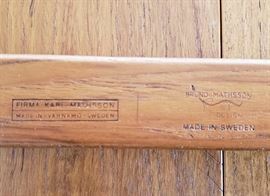 As the buyer, it is your responsibility to validate the authenticity of every item prior to your purchase. *Entering the property indemnifies property owners/agents against any claims, damages, or liabilities (including but not limited to attorney fees) as a result of any injury or other harm suffered by any person and stemming from the sale, whether arising before, during, or after the sale. Entrants agree to indemnify owners for any losses or damages. Entrants will not hold owners or its affiliates or contractors liable for accidents, injury, theft, or incidents related to their purchase. 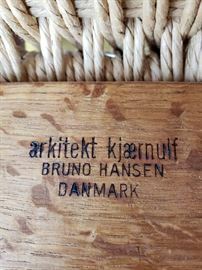 Bruno Mathsson "Maria" table being sold together with 6 Bruno Hansen chairs. 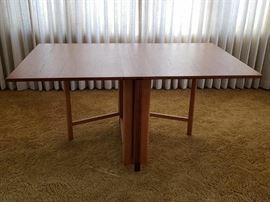 Auction bids for this item being taken from 8am-5pm Saturday 3/2. 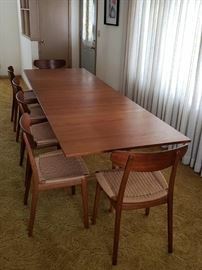 Mathsson table with Hansen chairs. Please note that the table has some sun fading on the drop leaves. 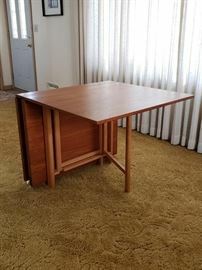 Table in very good condition but not mint. 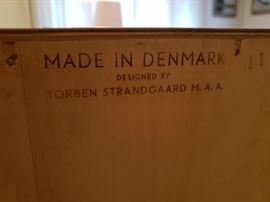 Strandgaard sideboard - Auction bids for this item being taken from 8am-5pm Saturday 3/2. 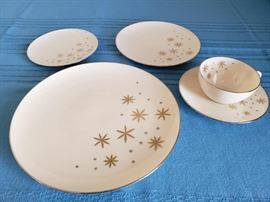 Lenox "Alaris" china, service for 8, no chips or scratches - Auction bids for this item being taken from 8am-5pm Saturday 3/2. 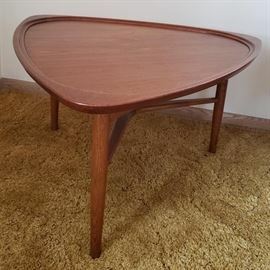 Danish modern teak guitar pick table - Auction bids for this item being taken from 8am-5pm Saturday 3/2. 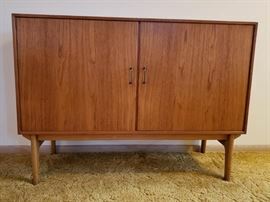 Scandinavian Teak veneer desk and record storage unit - Auction bids for this item being taken from 8am-5pm Saturday 3/2. Many embroidered linens, aprons, etc. Beautiful costume jewelry, Trifari, Napier, Monet, etc. 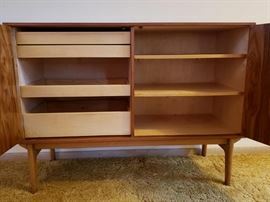 Ask at the desk about this item, the only "make an offer" item at the sale. Russel Wright for Bauer pottery.